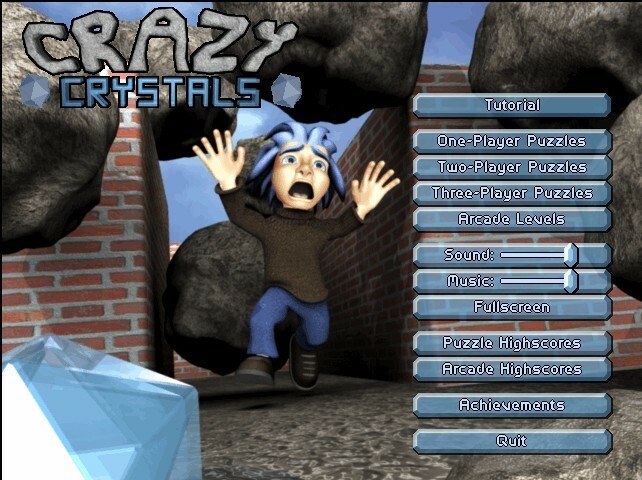 Crazy Crystals is a puzzle game in which you have to collect every crystal in each level. Sounds simple enough, right? 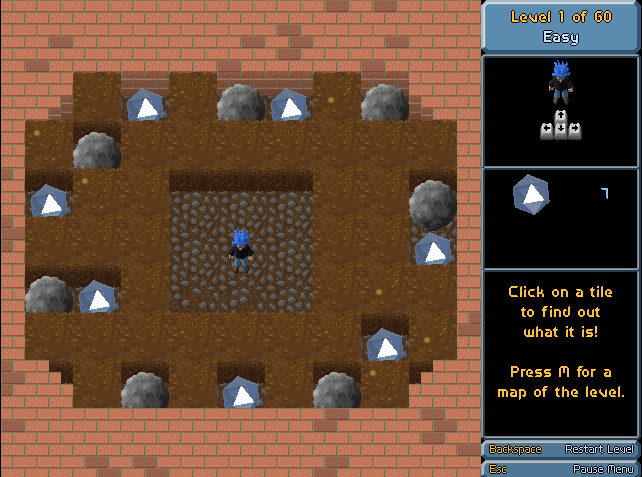 Well, like all good puzzle games it starts out relatively easy, but later levels get fiendishly difficult. 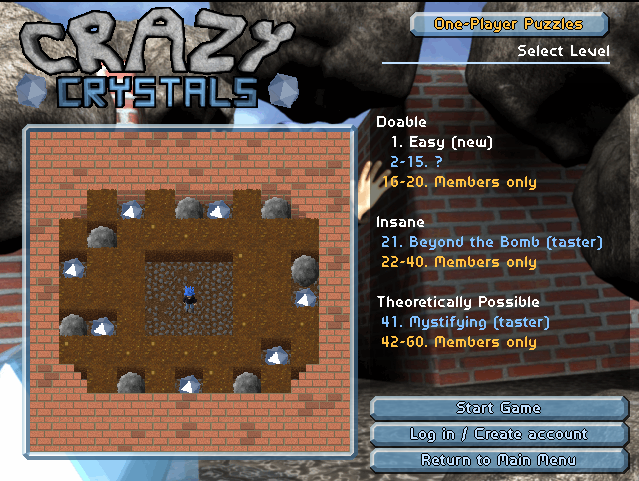 Falling rocks will be the least of your problems as you'll also be contending with bombs, spiders, bouncy balls, sticky balls, lasers, mirrors and some of the most twisted levels ever devised.